~~> Be ready for Halloween when you get your full costume and makeover done! 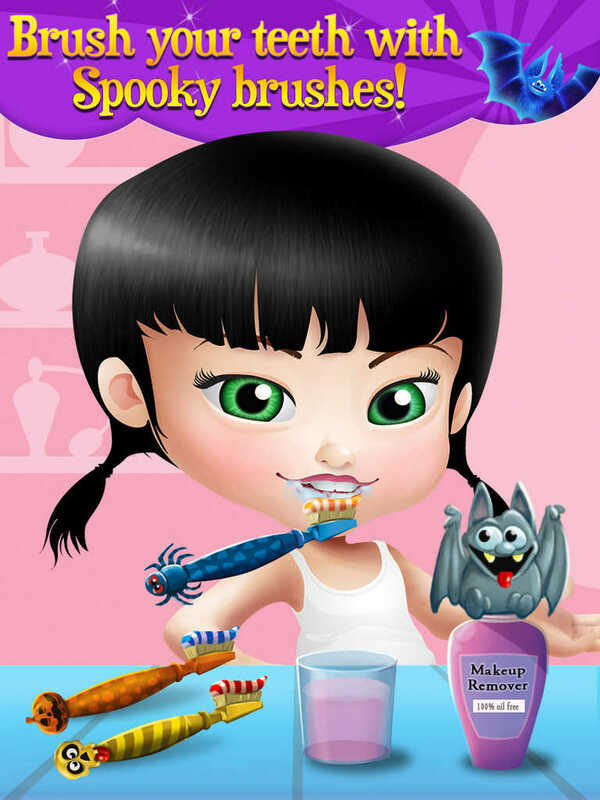 ~~> Use the spooky toothbrushes, Halloween-themed hair and makeup tools to look glam for the party! ~~> An incredible selection outfits, wigs, and accessories will make you best dressed this Halloween! Now that you’ve completed your Halloween makeover, it’s time to dress up in fun costumes, crazy wigs, and cool accessories! With awesome costume options for Halloween like animals, fairy tales, and princesses, your options are endless! Now your dream of looking and dressing just like your favorite princess or animal can come true! When you’re satisfied with your look, it’s time to head out for the big party and trick or treating-- with your awesome costume, you can bet you’ll get the most candy in town! Take the girls’ pictures in all sorts of scenes and settings and transform it into a cute card! > Get ready for an glam Halloween time at the spa! 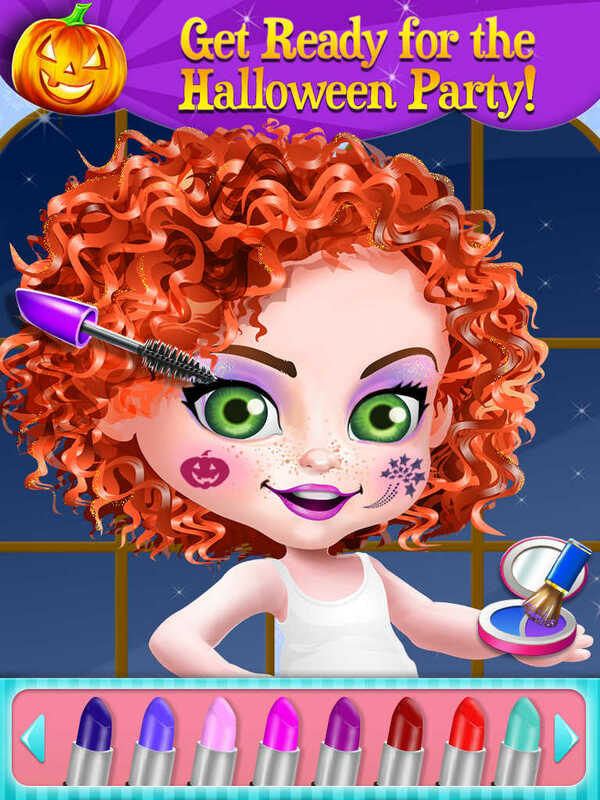 Slide to use beauty tools customized for the Halloween season! > Make your hair shine when you drop fancy shampoos into the girls’ hair and blow dry their luscious locks smooth! There’s so much fun to be had at the spa! 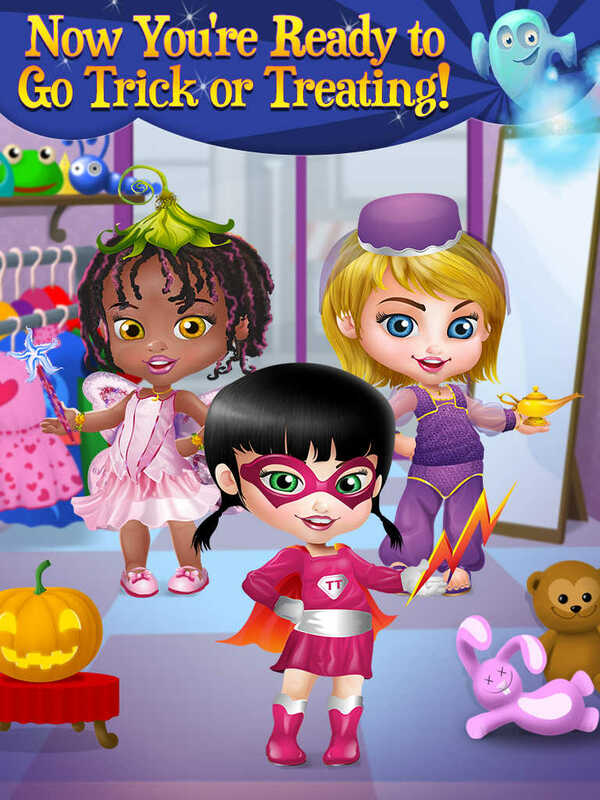 > Play the most fun dress up game with an amazing Halloween costumes! > Photo fun: take pictures with the girls in their cute costumes in all sorts of locations and even make a card for family and friends! > 4 awesome girls to dress up and makeup in cool costumes! > 40 amazing new collection of costumes With each girl! Animal costumes, fairytale costumes, worldly costumes-- everything you’ll ever want! > 5 skin problems to fix at the spa before you go Trick or Treating! > 8 different cleaning tools for the ultimate in spa party! 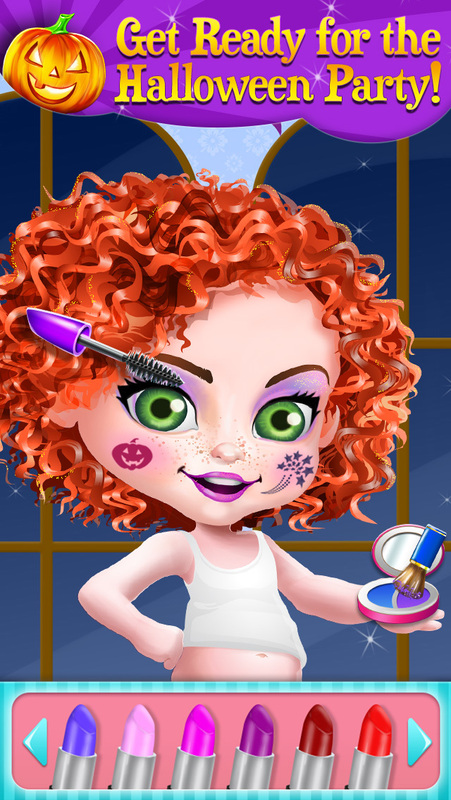 > 2 fabulous makeup categories to choose from-- costume stickers, and lipstick! With over 600 million downloads and growing, TabTale has established itself as the creator of pioneering virtual adventures that kids and parents love. We lovingly produce interactive e-books, games, and educational experiences for children. 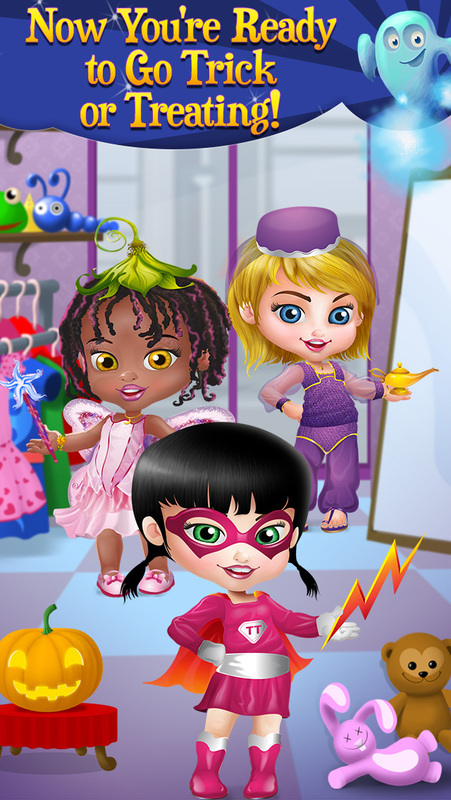 Baby Heroes - Save the City! Baby Paint Time - Little Painters Party! Puppy Dog Sitter - Dress Up & Care, Feed & Play! Puppy's Birthday Party - Care, Dress Up & Play!